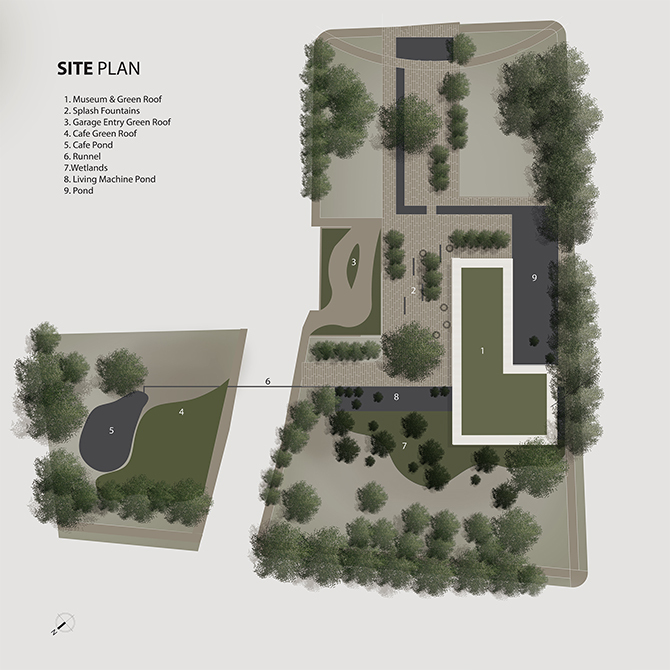 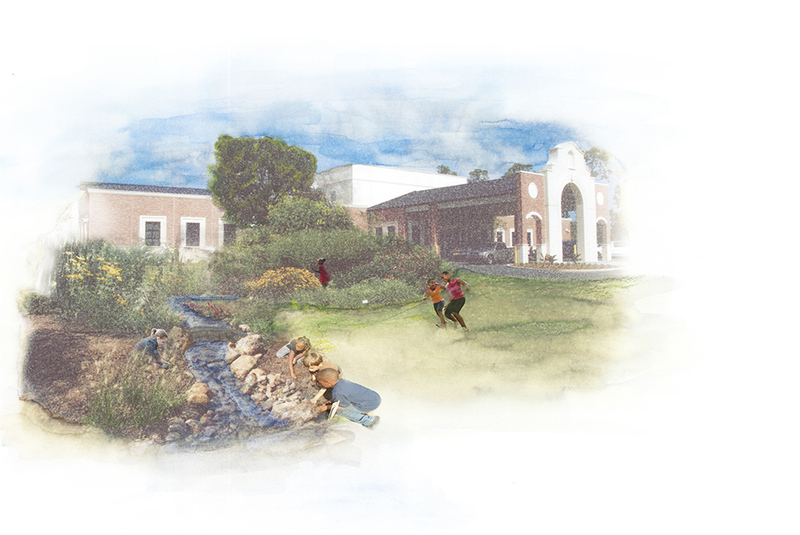 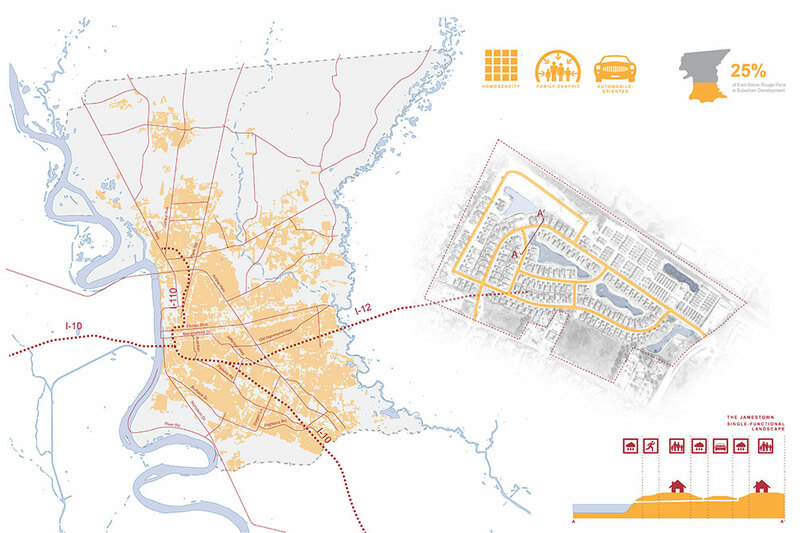 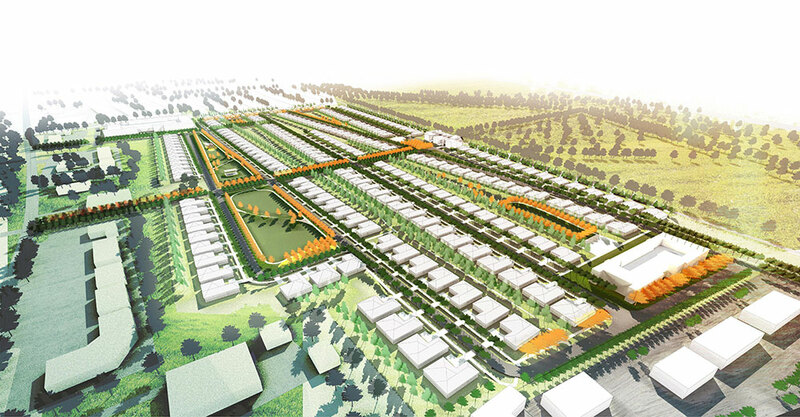 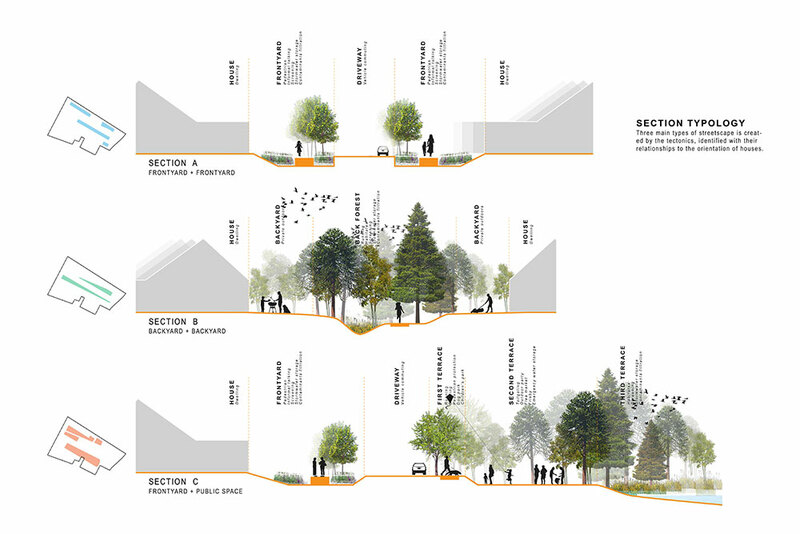 The graduate community design studio focuses on landscape planning and design at the community and neighborhood scale, emphasizing relationships of uses, transportation and infrastructure, green infrastructure, public services, and a mix of housing and commercial types. 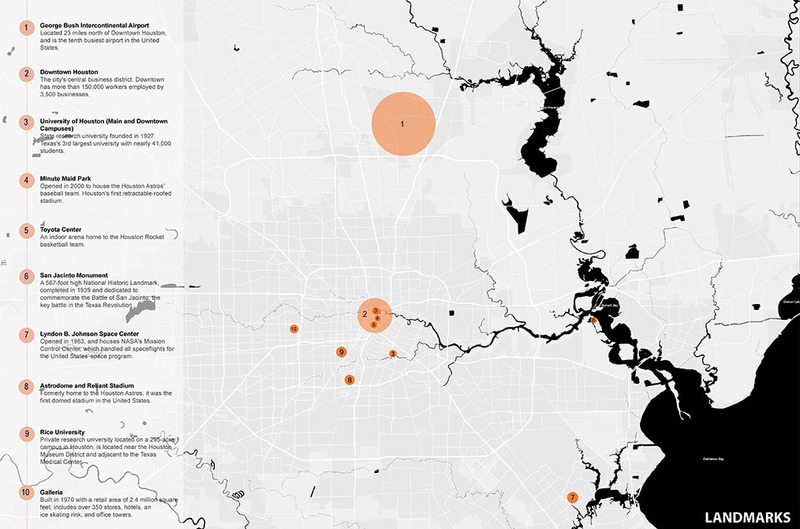 In the Water Studio, students investigated urban water infrastructural systems and their role in the city of Houston, looking at the development of the potable, waste, and stormwater systems. 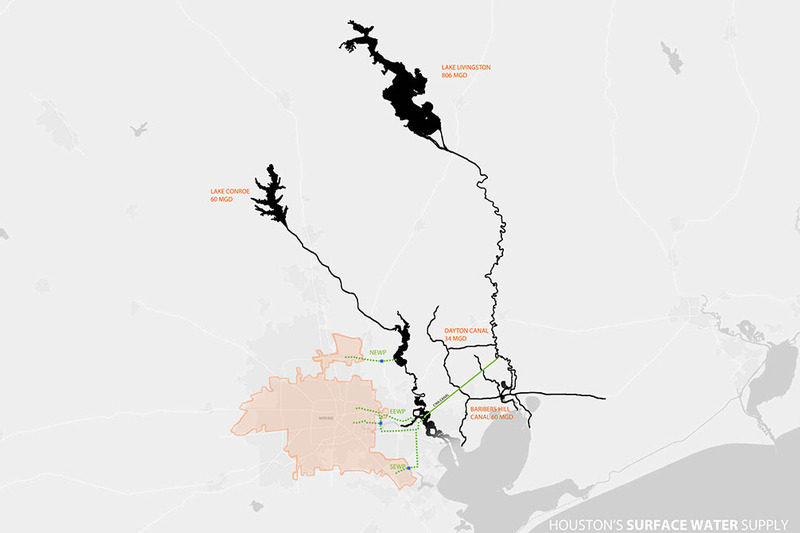 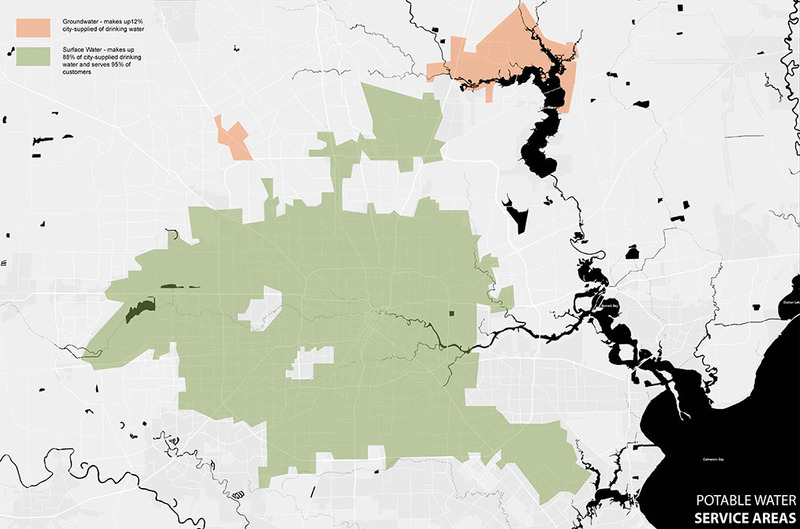 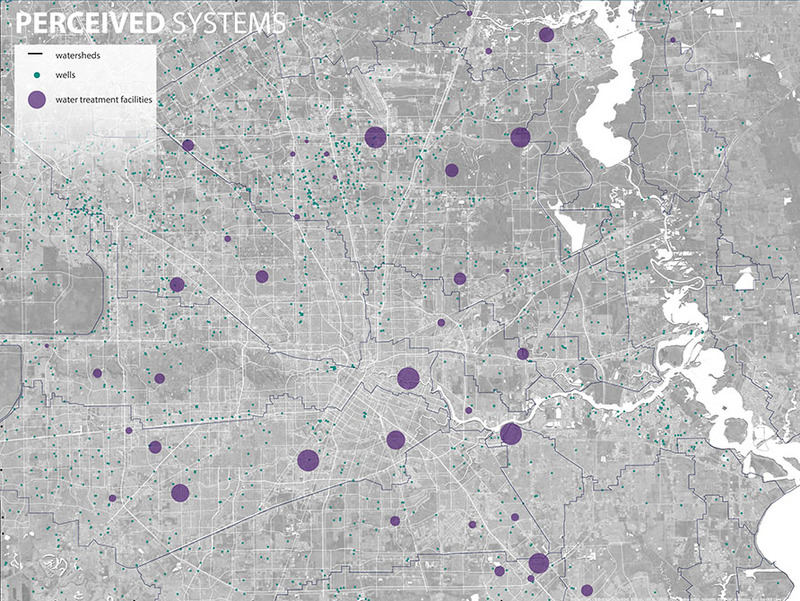 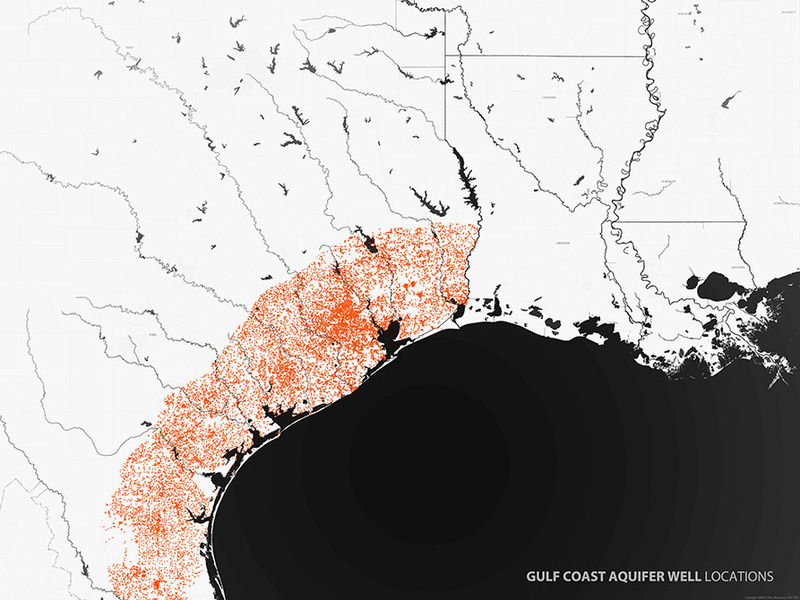 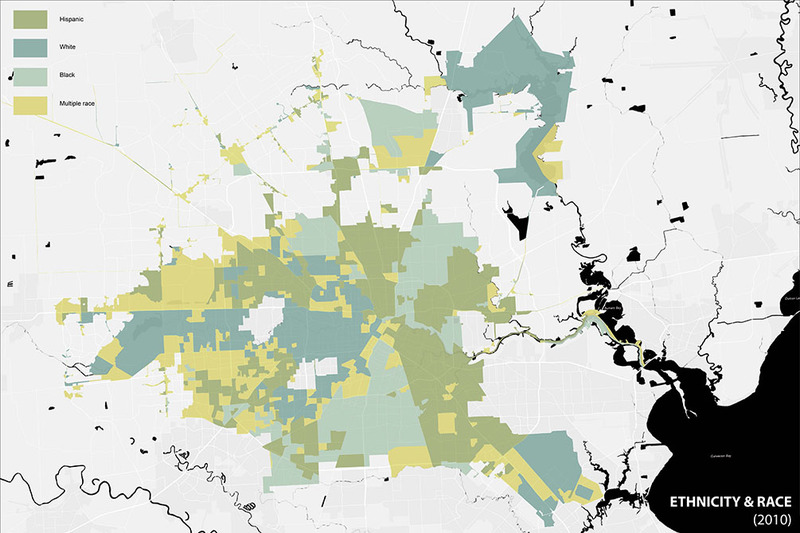 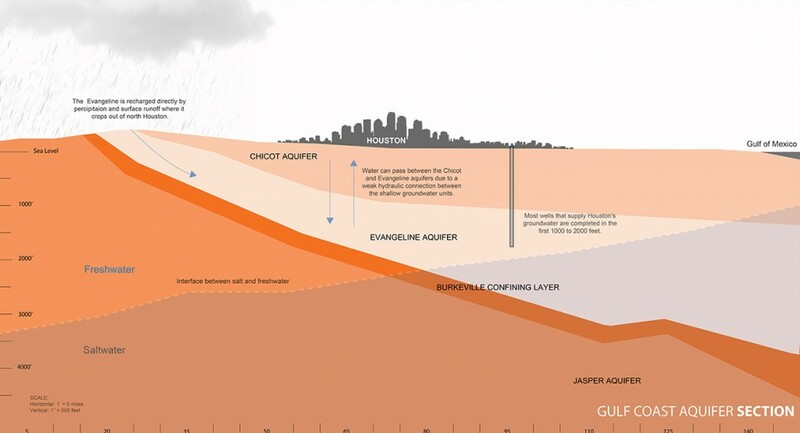 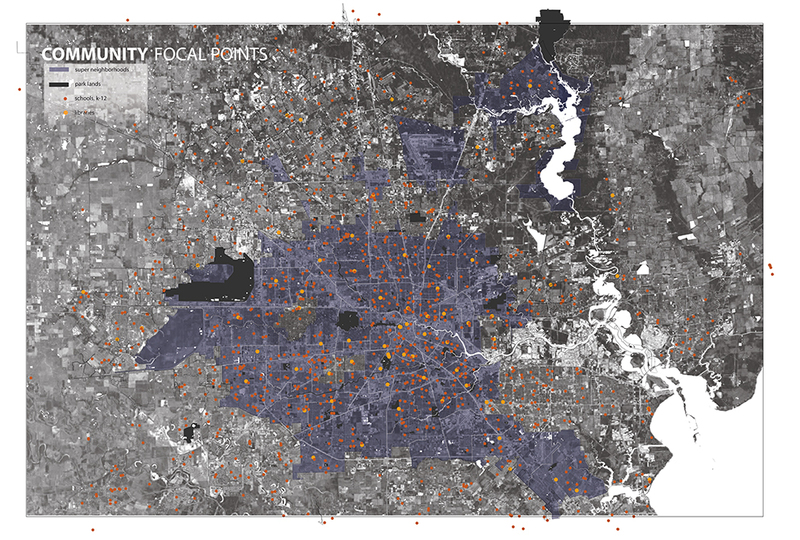 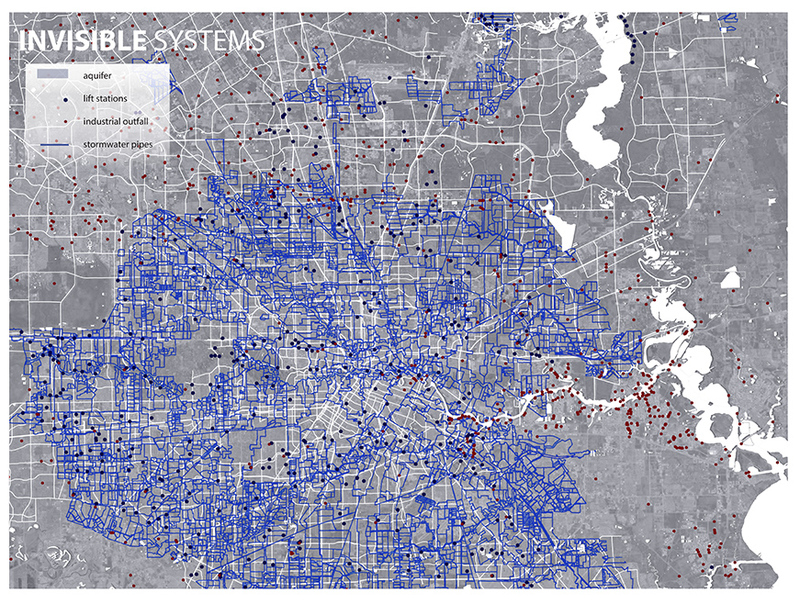 Houston faces a number of issues surrounding its relationship to water, such as periods of drought, aquifer depletion, subsidence, flooding, catastrophic storms, enormous industrial demands, and a fast-growing population in need of clean water. 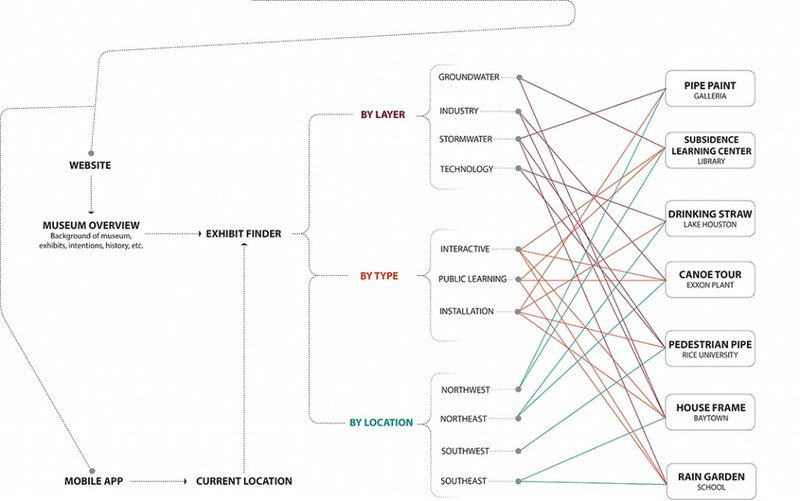 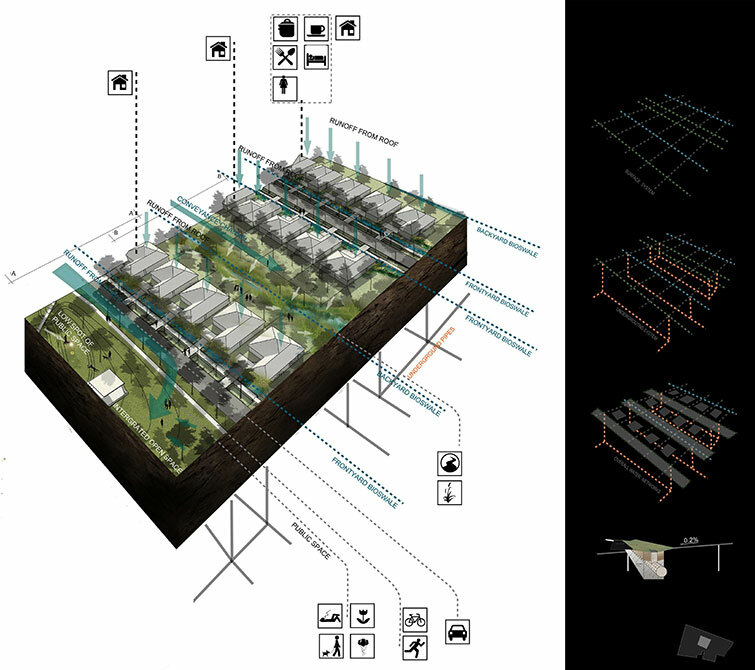 The first half of the semester, students explored the three infrastructural systems, looking at how the geography, technology, and regulations/economics all contributed to the development of the systems. 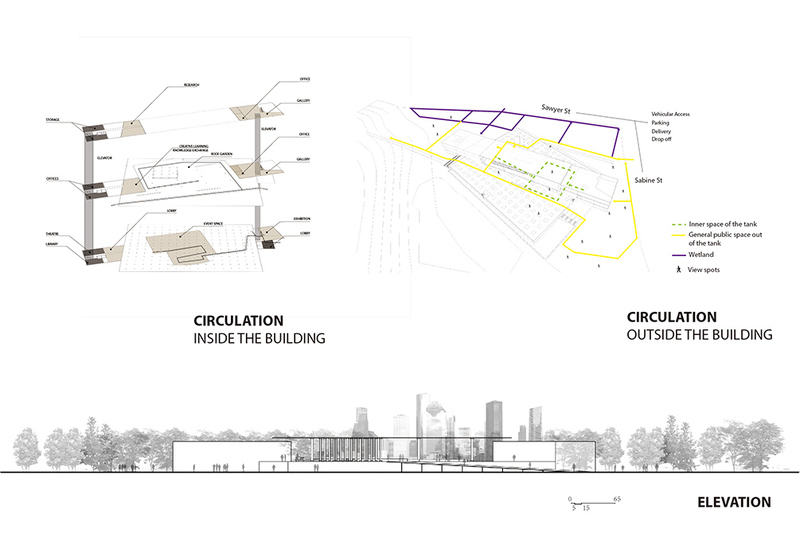 The students produced a series of maps, technical drawings, and sectional studies to show these relationships. 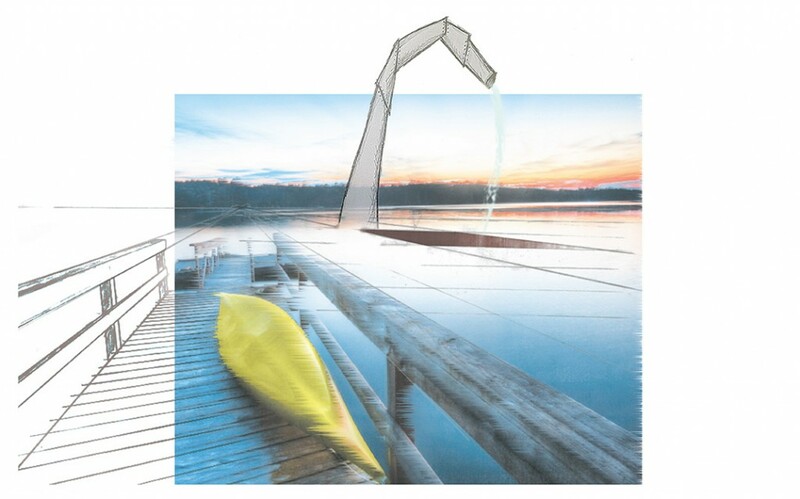 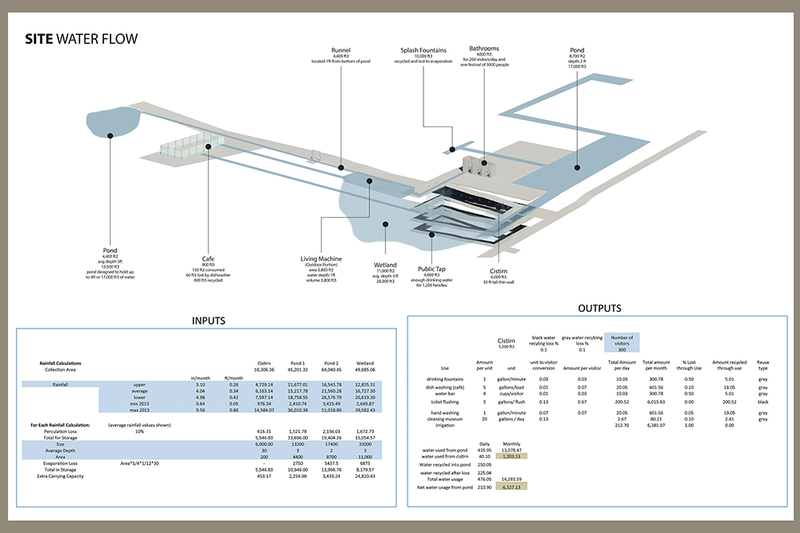 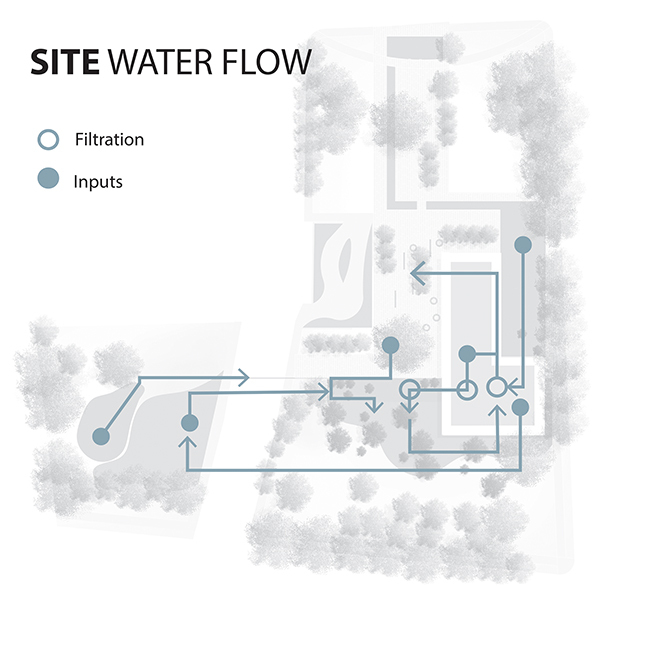 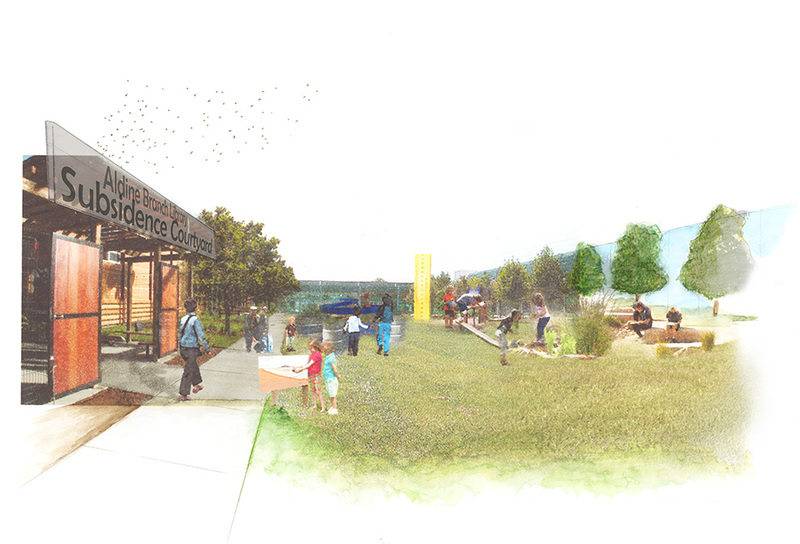 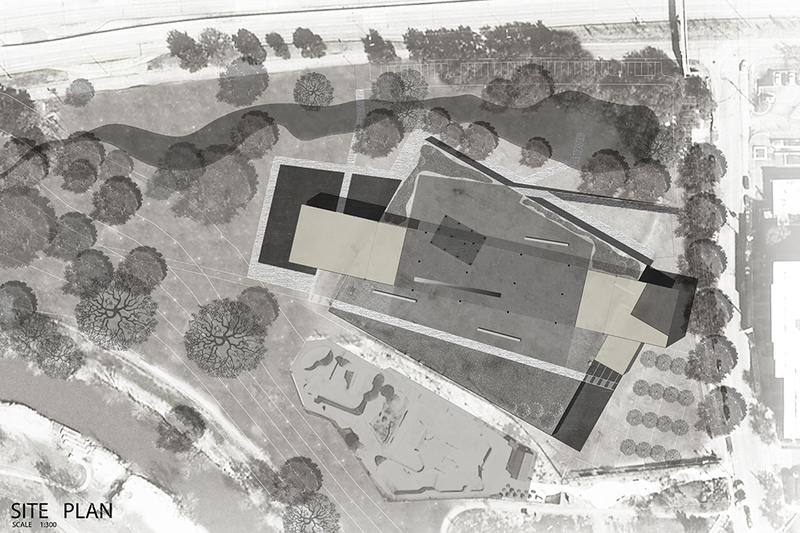 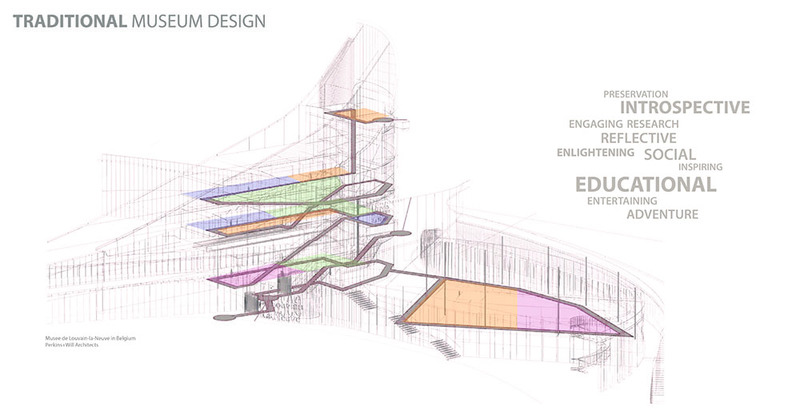 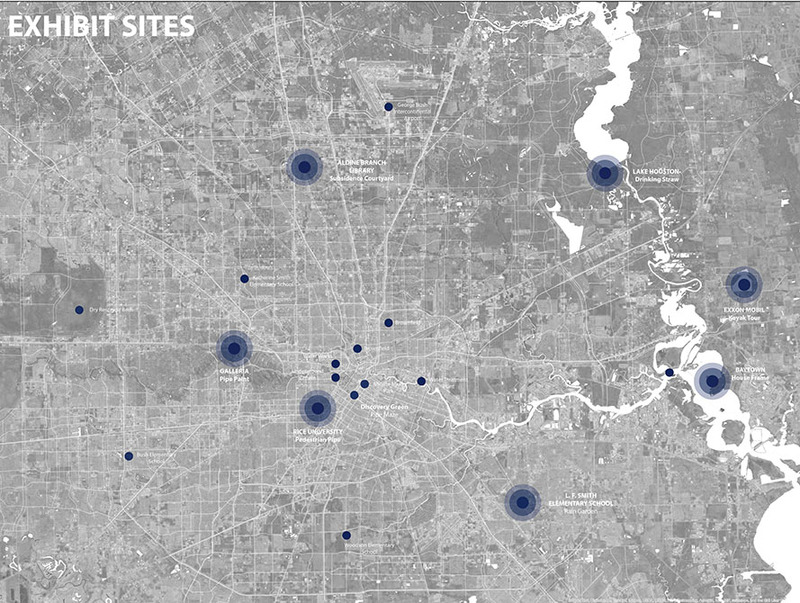 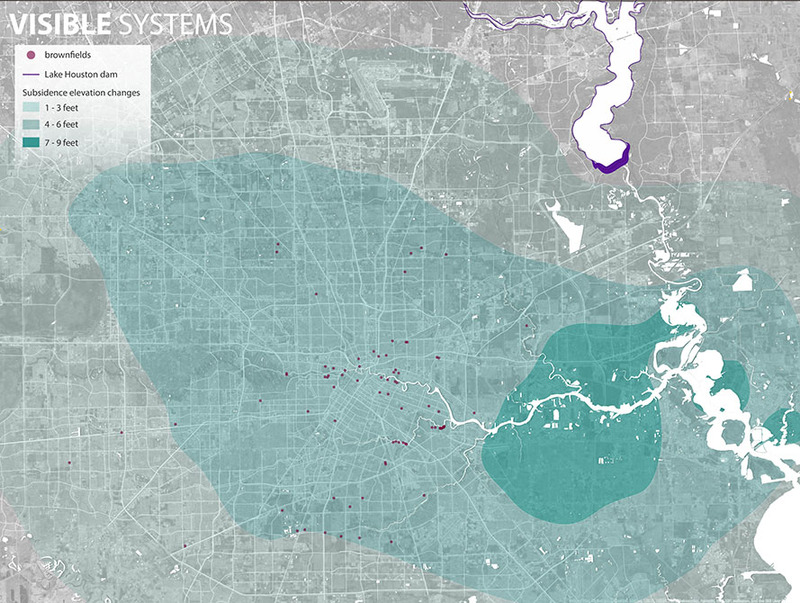 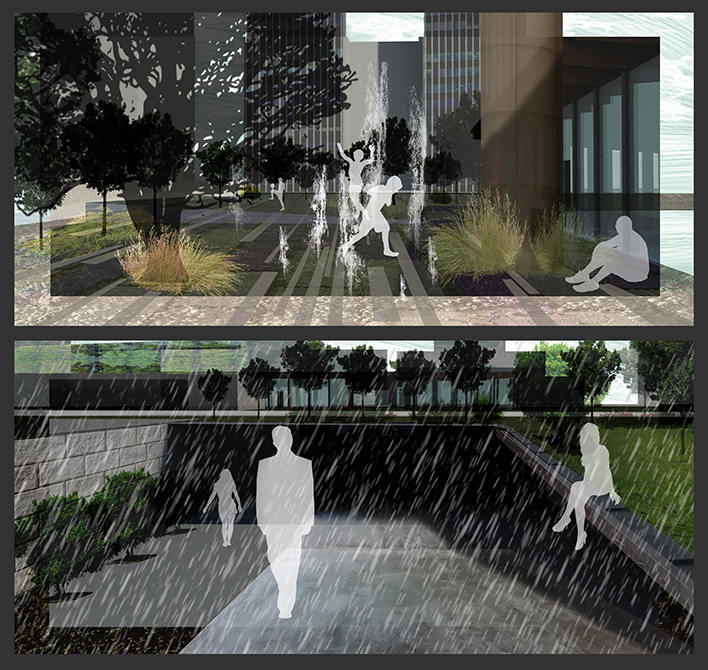 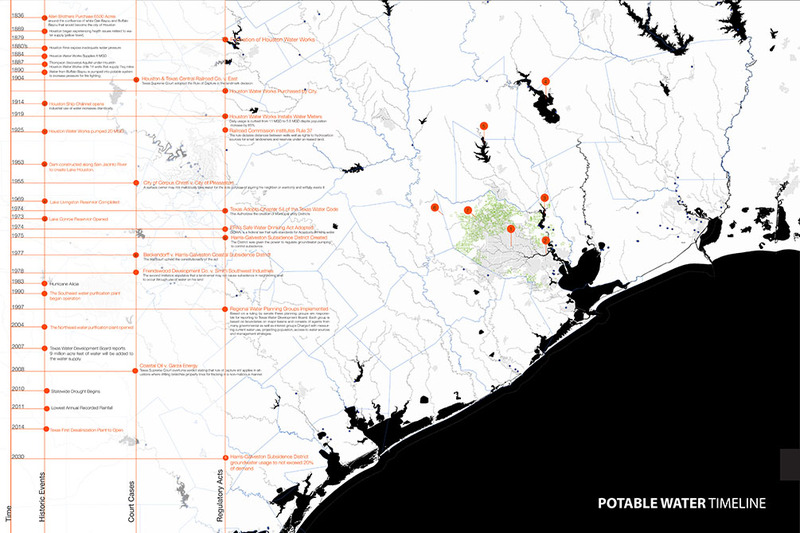 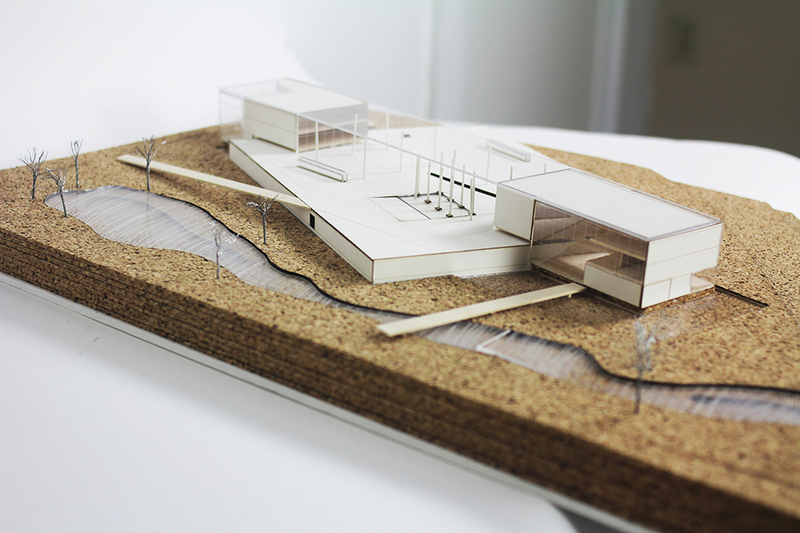 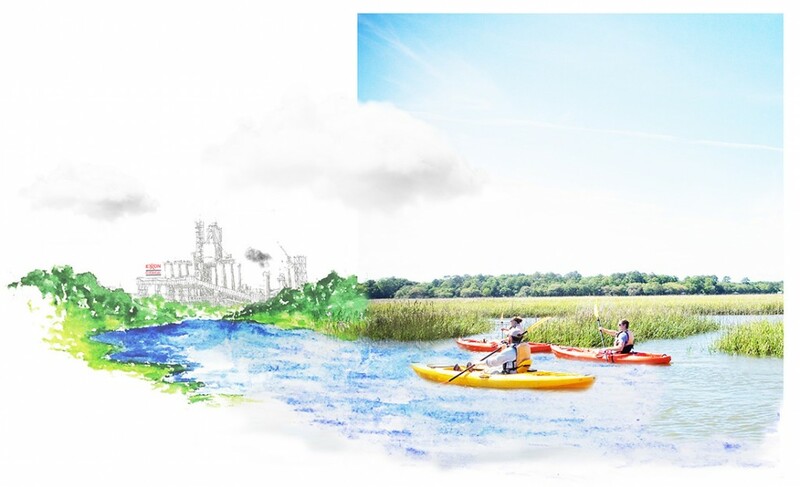 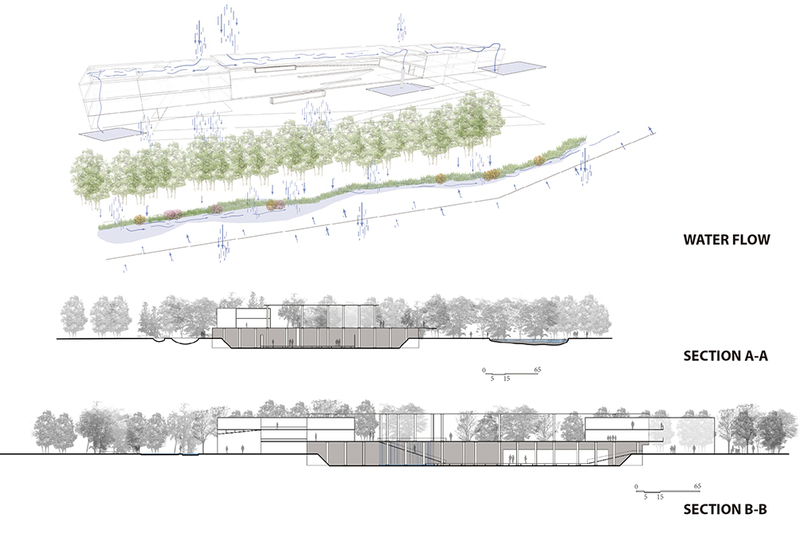 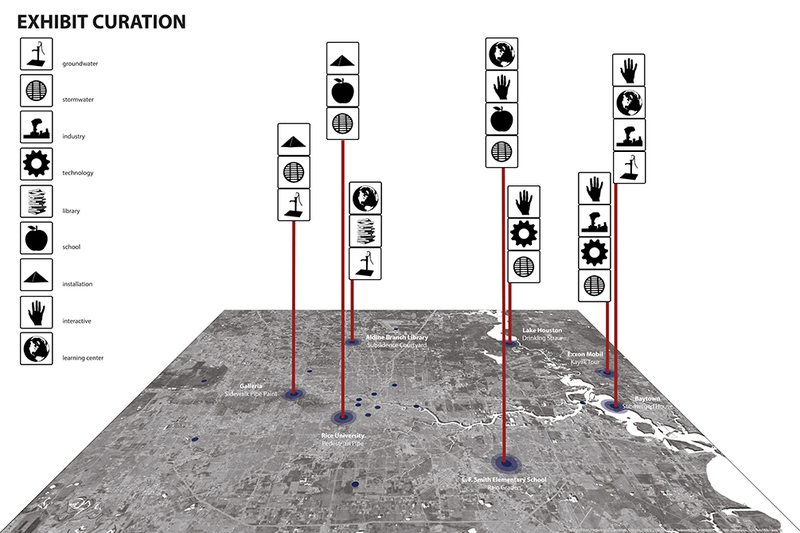 In the second half of the studio, the students developed design proposals for a potential Museum of Water for Houston. 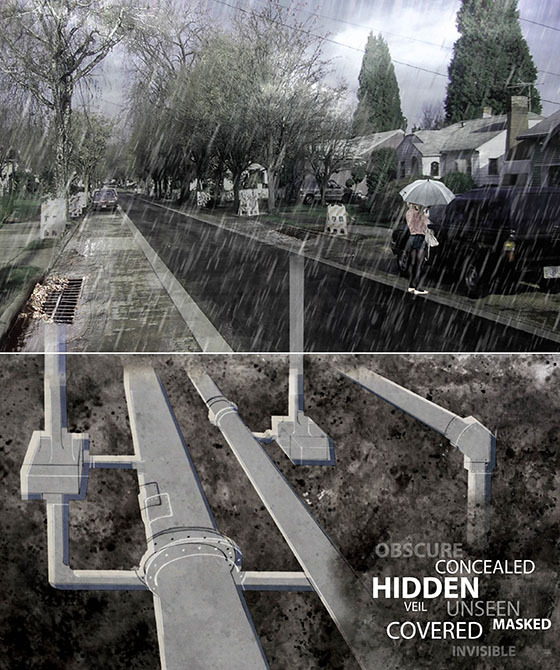 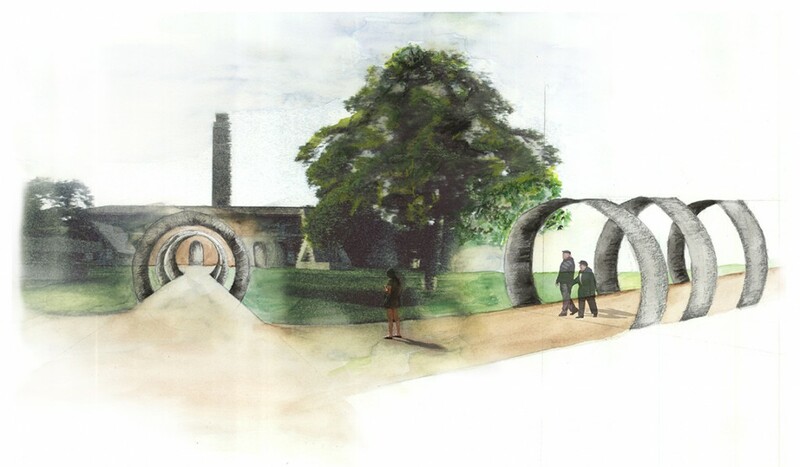 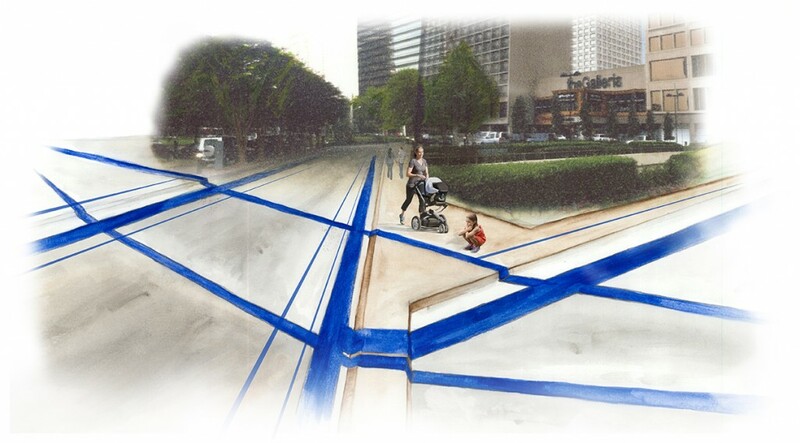 They looked for ways to engage the public in a dialog about these critical but often overlooked issues relating to water infrastructure in the urban environment. 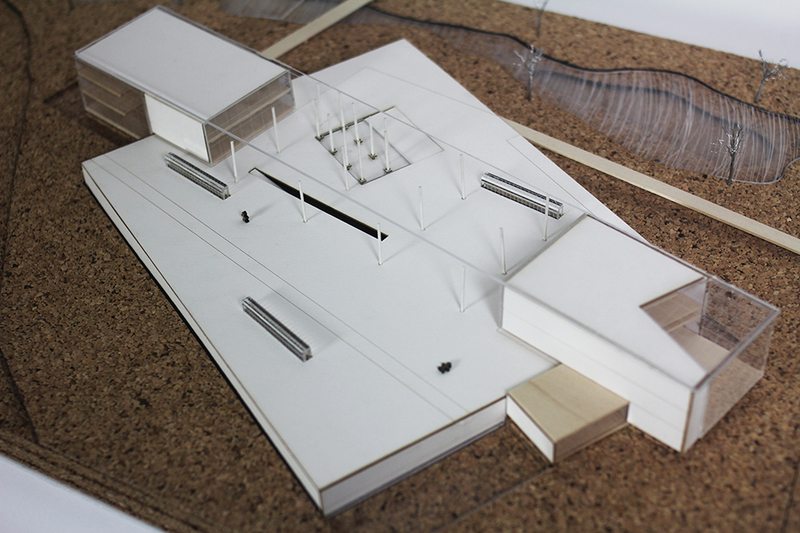 The students formed a critical response to these issues and developed a strategy for the site selection, formal/material language of the design, and program of the museum.